We are often asked by asbestos software Alpha Tracker users what our plans are for future releases. 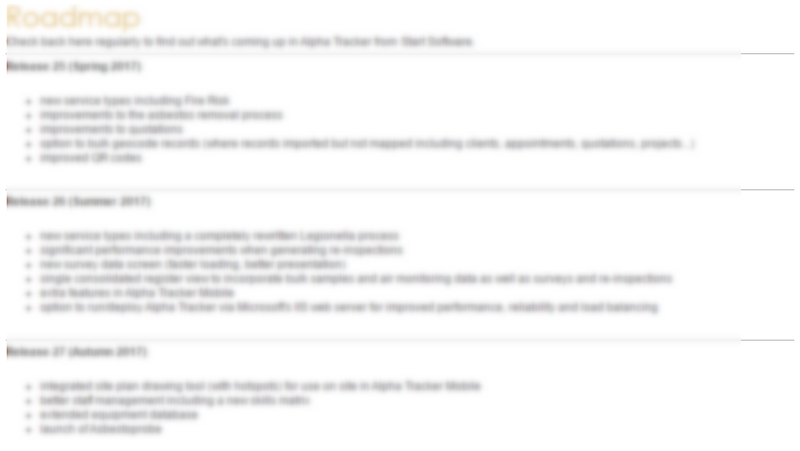 We call this the Alpha Tracker Roadmap and it is something we're happy to share - sort of! 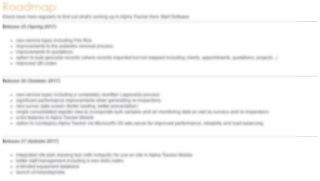 Here it is (above) but why I have blurred out the image? Our competitors would love to get their hands on this so we only share it with our trusted customers. Hopefully that makes sense! Give us a call if you want to see what our plans are and do tell us what you'd like to see in the releases planned for the rest of the year. Our favourite London client Cath Tate Cards is sponsoring a new exhibition at The Cartoon Museum called "The Inking Woman". 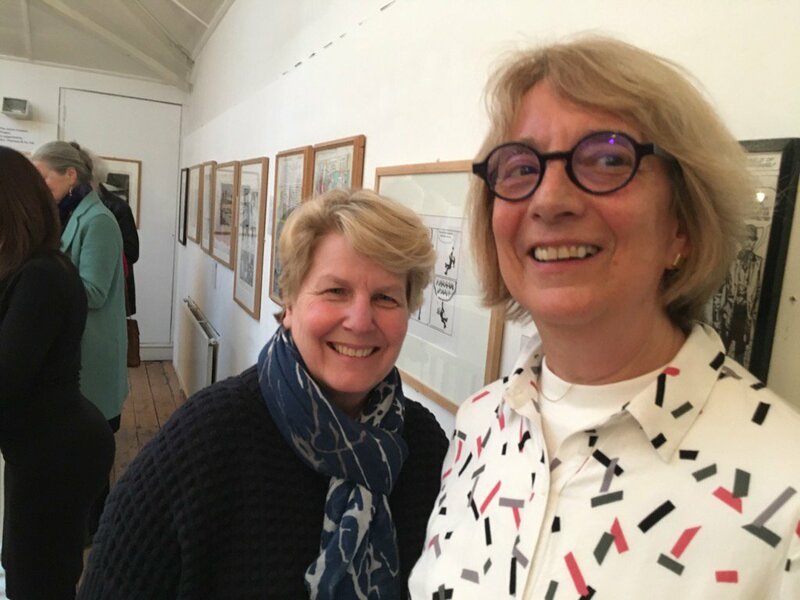 Sandi Toksvig opened the exhibition and is shown here with Cath herself. I can wait to visit the exhibition myself - get along and have a look! 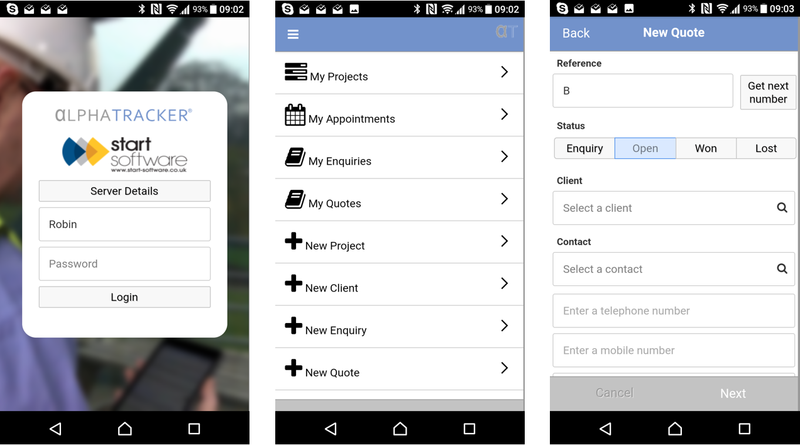 Our Android & iOS (Apple) Alpha Tracker Mobile app for asbestos consultancies and their clients has been updated again and the latest version is now ready for installation via the app stores (see http://robinbennett.blogspot.co.uk/2017/02/new-look-for-alpha-tracker-mobile-app.html). Alpha Tracker Mobile is the companion app to asbestos software Alpha Tracker. 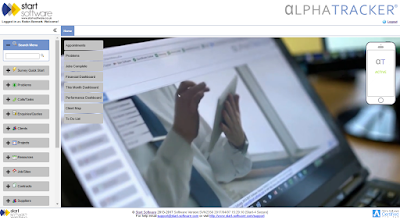 Following hard on the heels of Release 24, the next version of asbestos software Alpha Tracker is nearly ready for all users to download. There is still time (just!) to get your ideas for new features or changes into us for inclusion in Release 25. Get in touch! We're delighted to announce that a new 24x7 Alpha Tracker support telephone number is available for our Australian and New Zealand asbestos consultancy clients. The new number is 1300 946 310 and will be answered in person 24 hours a day, 7 days a week. 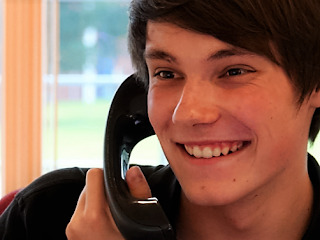 We're looking forward to speaking to you - whatever time of the day or night! It has been another good (but busy!) month for our support desk with 94% of urgent calls being resolved within 2 hours. We're receiving too many repeat calls from a handful of clients and so we're giving extra focus in April to understanding why some Alpha Tracker servers are not performing as well as they could be. Repeat calls (and lots of new clients) meant we had the busiest month ever with 684 calls received. If you have a long-running issue, please do get in touch. Don't ignore or put up with the problem, please do tell us so we can do something about it.